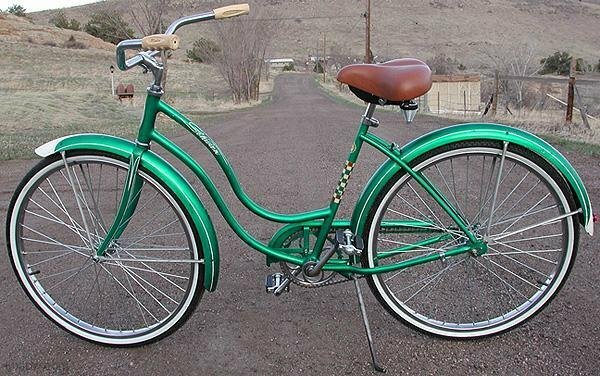 Vintage Jade Schwinn American Ladies Step Thru Middleweight Bike, Ready to Ride Daily in Comfort & Style. 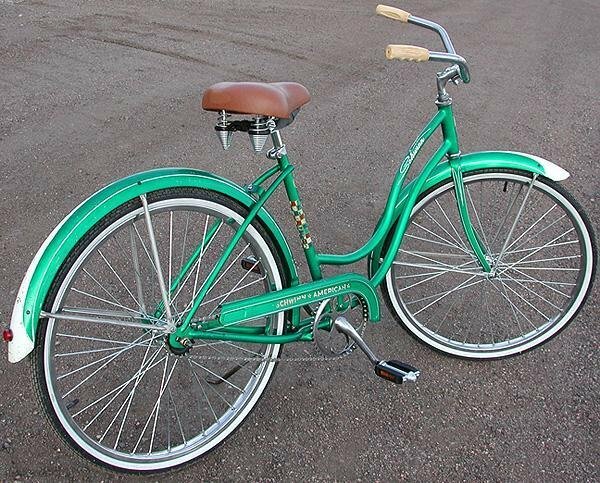 This is a Full size Ladies Adult Ballooner Bike With New Schwinn Pattern 26″x 1.75 ” Whitewall tires and New Wheels. 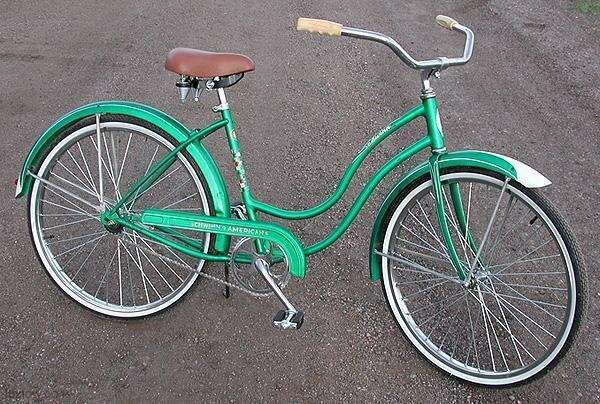 This Amazing bike is 50 plus years old and rebuilt is is set to outlast anything bought new today. 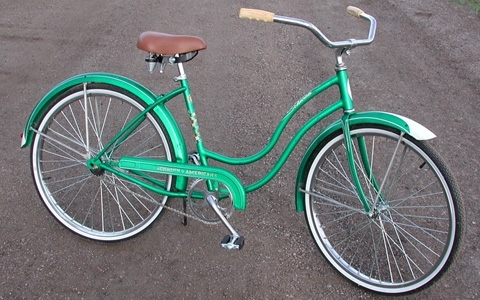 This Lux Low Bicycle is Intended for Local Sale, Cash Pickup in Golden, Colorado. Cash Price is Lower than our web posted prices, Catering to our Local Cruiser Customer. 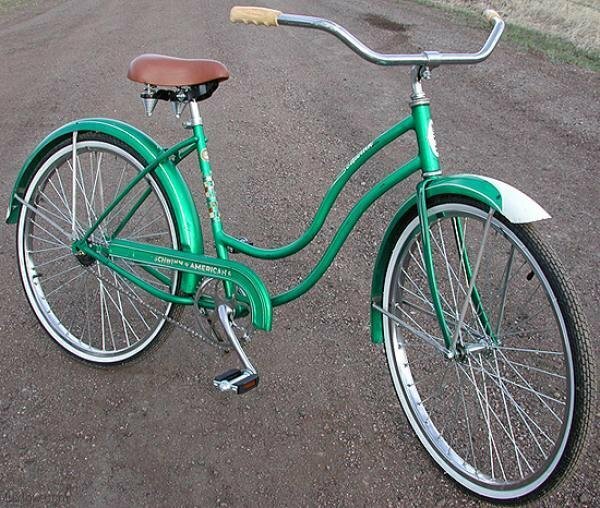 Non Local Sales: You will be billed through Paypal and Shipping is: $75 for Bikes with out Fenders & $150 for bikes with fenders to most of the US.